These tools were specifically commissioned by renowned sculptor Judy Fox. Each tool has a specific feel and use. 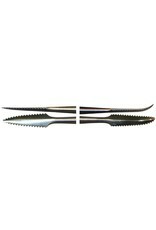 They are finely crafted in stainless steel for excellent durability. The teeth are very tiny for detailed work. 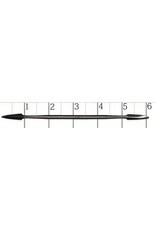 Overall Length 6"